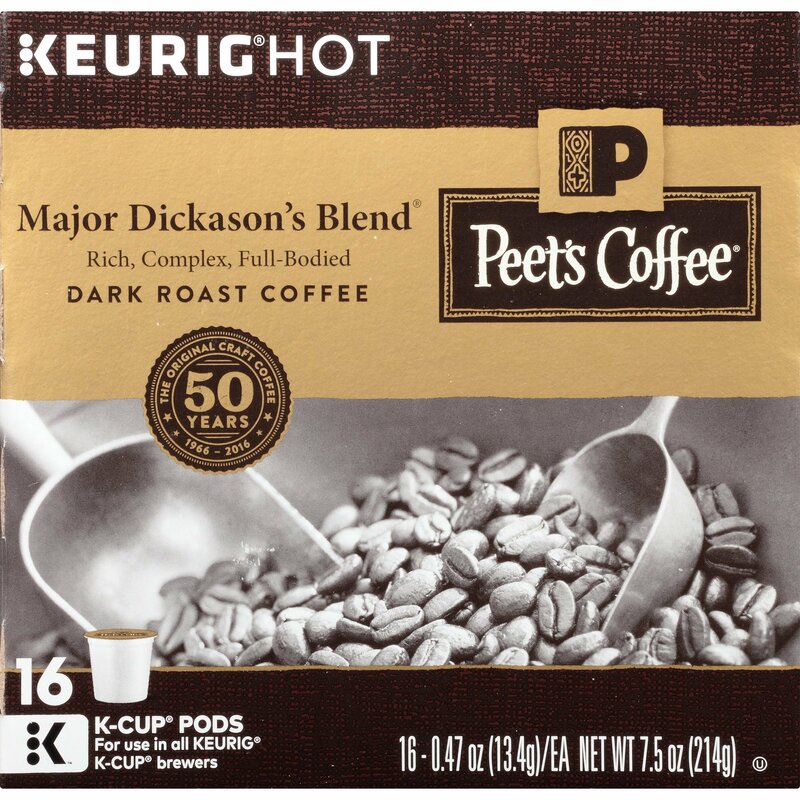 Home › Home and Kitchen › Peets Coffee & Tea Single Cup Coffee Dark Roast Major Dickason's Blend K-Cup ..
Peets Coffee & Tea Single Cup Coffee Dark Roast Major Dickason's Blend K-Cup .. Flavor: Major D Blend | Unit Count: 16 Conceived by one of the first peetniks and refined by Mr. Peet, this premierblend is our all-time bestseller. Flavor notes: rich, smooth, and complex,with a very full body and multi-layered character.